Take all the moisturizing goodness of a liquid lotion, then remove the icky chemicals, preservatives, and fillers. 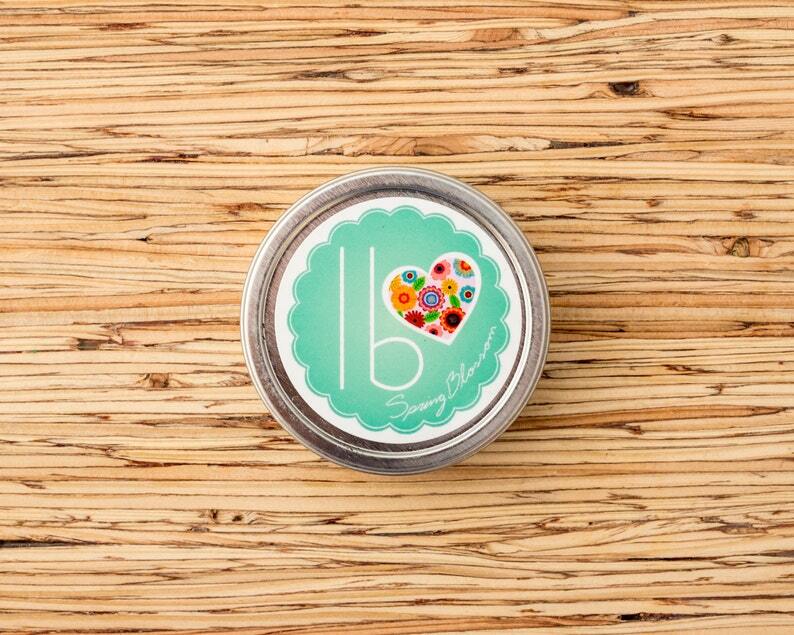 Simply rub the lotion bar on skin that needs some moisturizing love. 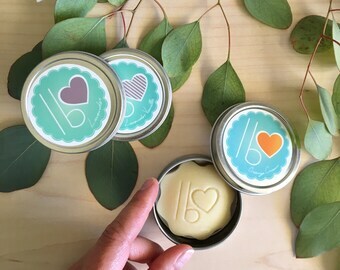 LB Love Organics hard lotion heals dry skin naturally! Choose from the hibiscus flower-shaped 0.5 ounce travel size lotion, or the full size custom logo 1.2 ounce lotion. The Spring Blossom scent is bright with citrus and floral notes such as orange + geranium, a fragrant breeze that brings you back to Springtime. We use a blend of 100% essential oils to craft this scent- no artificial fragrances! All orders come in a seamless tin and cutely gift bagged, all ready for gift giving. Great for hostess or teacher gifts! This works wonders on my dry, sore, cracked knuckles! And it fits nicely in my purse or pocket.